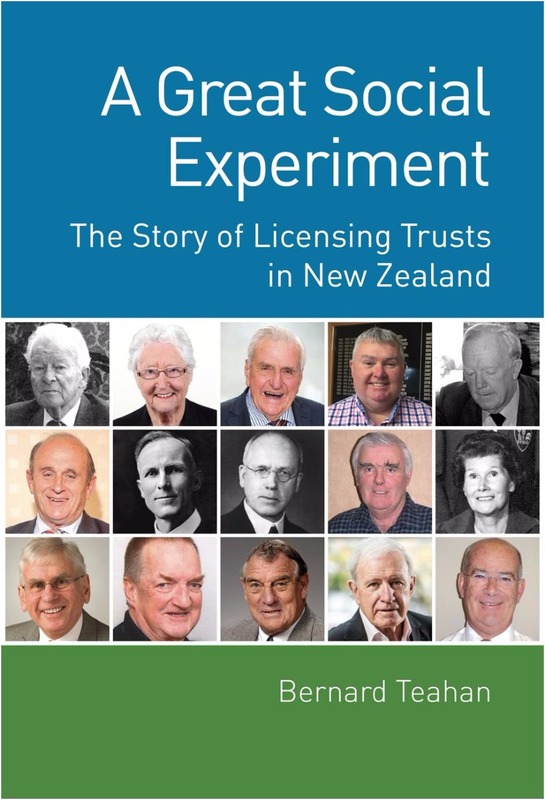 A Great Social Experiment : The story of Licensing Trusts in New Zealand, ISBN: 9780994136022 - available from Nationwide Book Distributors Ltd NZ. Licensing Trusts are a uniquely New Zealand concept now over 70 years old. Sometimes maligned, they have quietly pursued enhancing and supporting their communities with annual donations of many millions; and generated through their businesses, community assets worth $350million. They have achieved much. A Great Social Experiment tells the story of their achievements and failures: why in communities like Invercargill, Mataura, Masterton, West Auckland and Flaxmere they are greatly valued, and why in others they have withered. It explains how two remarkable men in the 1940s, Peter Fraser, Prime Minister, and Rex Mason, Minister of Justice, conceived how communities may take control of the sale of alcohol, generate profits to provide much needed hotel accommodation; and through community support donations, a dividend to enhance their community’s well-being. This is a story told from the inside. Bernard Teahan worked for many years amongst Licensing Trusts and does not gloss over the inglorious failures. Yet, for all these, the success rate has been remarkable compared to the alternative structure of private enterprise. Outstanding people dedicated extraordinary time and commitment to making their Licensing Trust successful, thus proving the spirit of community continues to endure and endear throughout the ages. A Great Social Experiment’s extensive research lays a challenge: community ownership of trading enterprises provides an alternative to globalisation, and are an important vehicle for the 21st century. The Author Bernard Teahan worked for 30 years as Chief Executive of Licensing Trusts, primarily Masterton and Trust House Limited, but also at one time managed eight Trusts. Qualified as a chartered accountant, he holds two Masters degrees from Massey University and a PhD from Victoria University. During his time managing Trusts, they earned respect as innovators and prudent generators of community wealth.